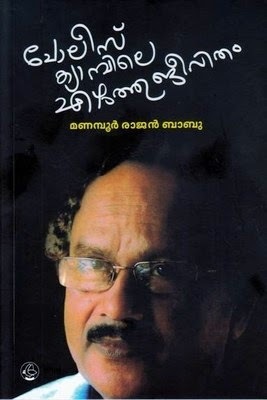 Police Campile Ezhuthujeevitham is a memoir by Manamboor Rajan Babu. It is an account of life beyond the morals of factional politics. It narrates the importance of a disciplinary action which might only affect the life Manamboor but changed the history of Kerala. He started his writing career the debut poem Discipline. His suspension from the service became theme for poems by Mullanezhi. Panante Pattu, Swathanthryathinte Chihnam, Kavithayude Pettakam, Nerinte Niram and Penpaksha Kavithkal are his other poetic collections.